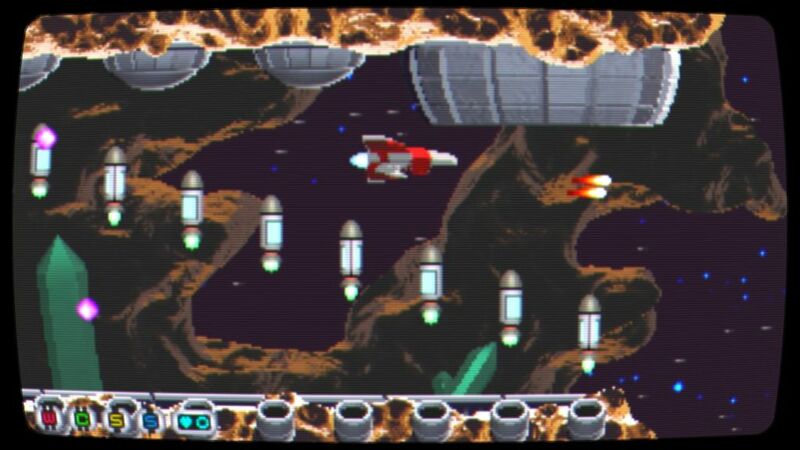 If Amiga games and ZX Spectrum style ones are not to your liking, then come and try out this highly energetic PC shoot 'em up titled ' Hawkwing ', developed by LosGeekosStudio. This game is an arcade shoot em up created in C# with the Monogame framework. The developer aims to recreate the feeling of the late 80's and 90's where many hours were spent blasting away waves and waves of enemies, picking up mighty power ups, and destroying bosses at the Arcades or on your retro home console. Hawkwing features lots of blasting action, colourful 2D low resolution sprites, medium sampling quality sounds and a catchy soundtrack. But do be aware the game is in a very early stage of development and although the game is just so much fun to play it does have font errors and lack of better sharper filters.